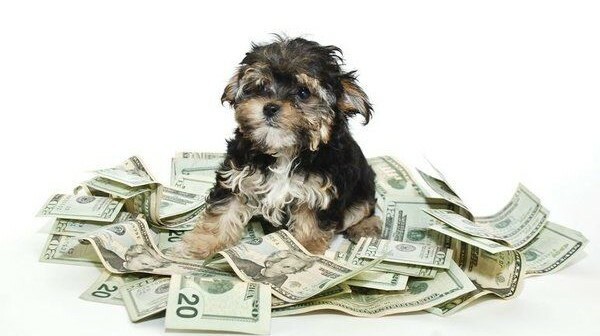 You are at:Home»Pet Insurance»10 ways to Save Money on your Pet insurance. We all know that owning a pet is expensive and pet insurance can often get overlooked; viewed as an extra cost that may seem pointless and unnecessary for a young, fit and healthy animal. However, it is the duty of all responsible pet owners to have a good comprehensive insurance policy in place for if the unfortunate should happen to their furry friends. Let’s be completely honest, it is a cost we could really all do without, but the peace of mind a pet insurance policy gives you is absolutely priceless, which is why the Insurance Advice Bureau have put together their 10 top tips on how to save you money on your pet insurance. It may seem counterproductive taking out an insurance policy on a pet that is young and healthy, but actually it is the complete opposite. Policies will be cheaper for younger animals and those have no pre-existing medical conditions, as they are less of a risk to insurers. The younger you insure them, hopefully the more no claims discount you can hope to earn in the future, which should lower your premiums further. Another good reason for insuring a pet when it is young is that it gets you into the habit of insuring them and also allows you to financially account for this expense. 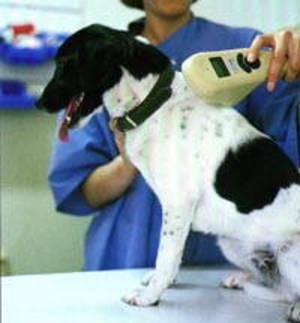 Getting your pet microchipped is an easy way to save money on your pet insurance. Most major pet stores fit their pets with microchips before selling them to the public, but if you have bought one from a smaller store or a private breeder you can take them to the vets to have it done. Some vets will invite you to join their pet health plan, which is likely to include free microchipping. The process is quick, pain free and will mean your pet’s details are logged onto a secure central database. If your pet has got a microchip, remember to inform your insurer and let them know the unique microchip number. Due to recent changes in legislation in England, most dog insurance providers require your dog to be microchipped before they will consider insuring them. Not only does microchipping your pet save money on insurance, but it also gives you the added security of knowing that should your pet is stolen or goes missing, it makes it much easier to track them down. Having your pet neutered or spayed will make a big difference to the cost of your pet insurance, as there are many illnesses and disease that are contracted by animals that haven’t had this procedure. Which means besides the fact it will lower your insurance costs, unless you plan on breeding your pet, neutering or spaying should be considered standard procedure amongst all pet owners. Both the Dogs Trust and the Cats Protection offer financial assistance towards the cost of neutering if you live in certain areas of the UK and have a low income or receive means tested benefits, so it’s well worth checking with them if you feel you would struggle to finance the cost of neutering your cat or dog. As with all insurance policies, there are different levels of cover and you will need to make a judgement call on how much you think your pet may potentially need. But, one thing you must be really conscious of is not getting too much cover, because this is one of the quickest ways to increase the cost. Talk to your vet and ask what they would suggest; they will be able to guide you on how much various procedures cost and the likelihood of certain pets needing those procedures. On the other hand, if you opt to buy the cheapest policy you may discover that you don’t have enough cover and the money you’ve saved in the short term may be a complete waste. Many of the basic, therefore cheap, pet insurance policies put time and monetary limits on claims, and there are likely to be more exclusions hidden away in the small print. The amount of excess you have on an insurance policy plays a big part in the overall cost. Excess is the amount you agree to pay before your insurance coverage steps in and pays the rest. Therefore, the higher the excess the lower the cost of the policy. Most insurers will offer you a choose of excess levels when you first take out the policy and it usually ranges from between ?50 up to ?200. Choosing which level to go for is a difficult decision to make and there are many factors that need to be taken into consideration, for example; the type of pet, the size of the pet, the likelihood of your pet needing treatment, does it have a pre-existing medical condition, does it have a family history of certain medical conditions etc. We would suggest that the bigger the pet, the older the pet and the unhealthier the pet the higher the excess you should offer to contribute as there is a much higher chance of your pet needing veterinary treatment and care in the future. Although it may seem expensive at first, it will save you money in the long term and you can rest assured that your pet will get the best healthcare possible. The big thing you do need to think about is how much you can afford to pay for pet insurance and if increasing your excess takes the overall cost to a point where you can no longer afford it, you should keep the excess low so that you can at least have some form of insurance. After all, some insurance is better than no insurance at all! As with neutering and microchipping, if you ensure your pet is up to date with any injections it may need and prove that you regularly keep this up with boosters, the cost of insurance will drop. 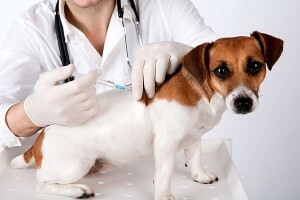 Not only this, but you are safeguarding the health of your pet against some pretty nasty diseases and this alone should be reason enough to get them inoculated as and when required. If you have more than one pet in your household it is worth insuring them through the same policy as most insurers offer multi-pet discounts. There is usually a discount of between 5-10% for multiple pets and they don’t even have to be the same species. No matter what type of insurance you are thinking about taking out, you should always, ALWAYS do your research. Pet insurance is no different and because there are so many different factors to be taken into consideration by the insurer, the cost can vary dramatically. Make use of comparison websites, such as Gocompare and Comparethemarket to find the current best deals as well as consumer site Which? 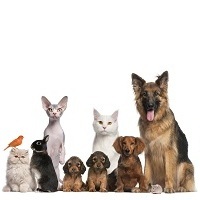 that rates over 70 cat and dog insurance policies to help you find the best deal for your pet. Certain breeds of dog, particularly pedigree or dangerous breeds, as well as exotic pets, such as reptiles and certain birds may require more specialist insurance. Ask for recommendations from your vet or ask around on related forums. Finally, one of the best ways to save money on pet insurance is by looking after your pet by keeping on top of routine health checks, feeding them the correct food, giving them regular exercise and general maintenance such as worming, nail clipping and teeth brushing. Yes all of these things cost money, but think of the amount you should save in vets bills in the future! Think about taking out a pet healthcare plan to help with some of these things. Most plans include free food, microchipping, free health checks and discounts on veterinary treatments, neutering, injections and other services. If you have pets, but are struggling to pay for treatment because you’re either on a low income, are retied or receive state benefits, don’t worry. 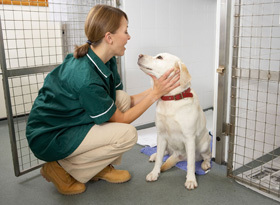 There are specific animal charities that can help fund basic and preventative veterinary care, such as the RSPCA, the PDSA and the Blue Cross. Just remember that before you buy any pet, you should always work out whether you can afford to give them the best quality of life possible both in terms of whether you can fully afford them and in terms of whether you have enough time to devote to looking after them. How much do you REALLY love your pet?